This month, our Duel series is the focus of the Book Vote! As always, there are five potential titles, and the decision is yours! Which would you like to see published? 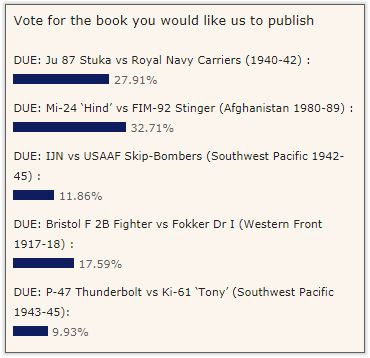 Head to the book vote to read more and have your say. If you'd like to see the results of last month's Weapon vote, head to the blog.